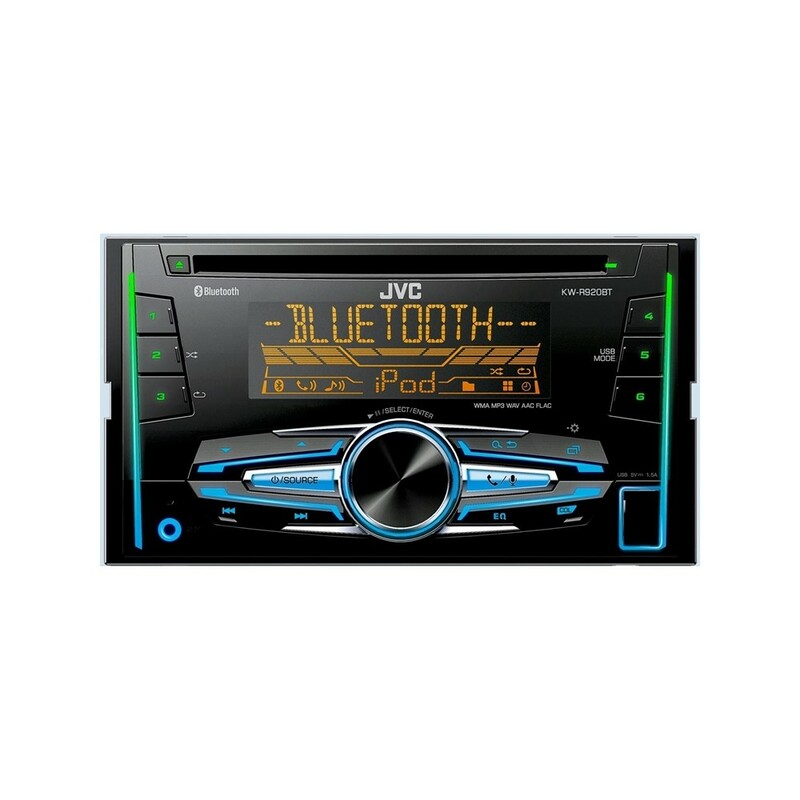 The KW-R910BT is a Double-DIN Bluetooth Built-In, Separated Variable Multi-color in-dash CD Receiver with 6-key presets, Aux Input, USB Port for iPhone, iHeartRadio Link Capability, and Pandora Internet Radio capability. 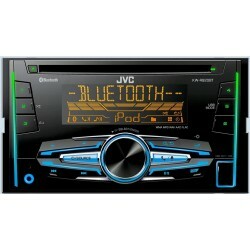 Music playback for iPod and iPhone can be controlled from the receiver or music player itself using 2-way iPod control. The receiver also includes capability to add steering wheel remote control function (via a separate adapter). Both Pandora and iHeartRadio can be used via Android (Wireless) or iPhone (USB) connection. Very good car stereo. Fitted perfectly into my mk4 Ibiza. Colour effects are a good feature...they even match the red lights on the interior of my car at night. Bluetooth compatibility works very well with my phone (note 3), all of my contacts etc. we're transferred to the stereo. I was surprised at how much of a difference it made to the sound quality of the speakers in my car as it was improved from the standard stereo. Only fault I have found is that when I turn the ignition off demo mode is activated and I have to turn it off every time I drive the car. 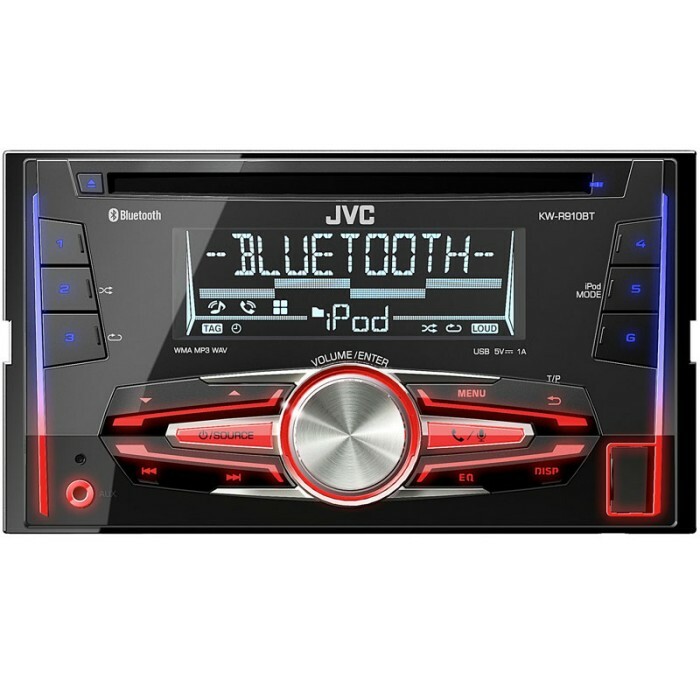 Overall great stereo and worth the money. Please could you let me know what accessories I'd need to fit this into a 59 plate VW Golf SE Estate? You will require the following fitting kit to fit a KW-R910Bt to your golf. Hi, will this fit into a Saab 9-3 convertible 2002.
we have found no double din fitting kit for your year of Saab, they start from 2006. Hi Will this fit direct to my car? it will fit into your car but you will require parts. Hi we have just bought a megane Cabriolet 04 plate, we would like to know if this would fit straight in to the existing space, also has this got a removable front for security. This will not fit your Renault Megane straight away. Will need modification. It does not have removable face. Following parts are required for installation. What extra parts would be needed to fit this to an Alfa 159 JTDm? Fascia? Stalk adapter? Aerial adapter? You will need the following parts for your Alfa 159. I have a mk2.5 mx5, would I need a facia plate to install this or anything else for that matter? You will need the following interface. Hi, what Facia plates would I need to fit this stereo so thay it sits flush in my golf 2005? You will need the following parts for installation. To fit the KW-R910BT, it only comes with the connecting harness with the radio. The fitting kit below shows the SWC's. I have a Ford Mondeo 2005 with a Sony 6CD head unit. What would I need to fit this and also to keep the SW controls working? thanks for your question, to fit the KW-R910BT into your Mondeo we have suggested some parts below. Hi, we have listed below the parts required to fit the KW-R910BT in your Fiesta 2007. This can be installed in your Honda Civic. You will need the below listed kit. You will need the below listed interface. 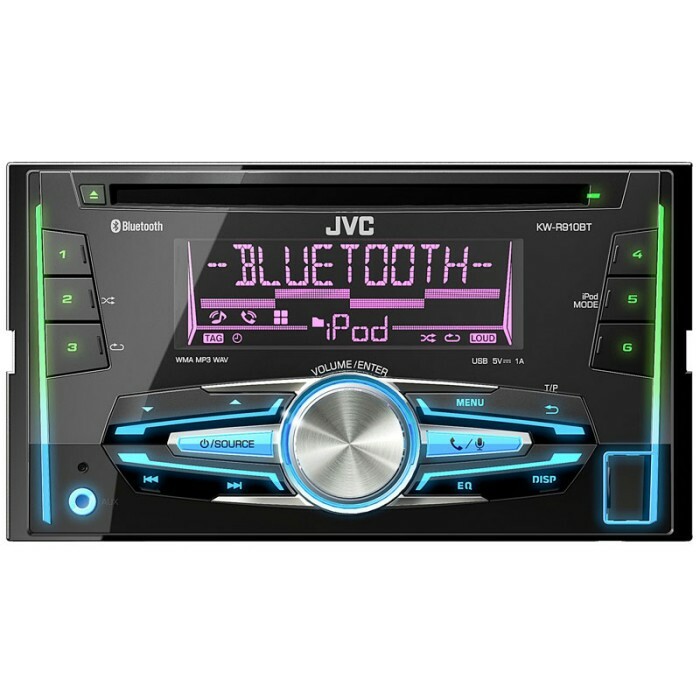 This JVC can be installed in your Freelander. You will need the below listed parts.